One week before Hurricane Irma devastated parts of Miami and the Keys, we were already in Florida making preparations for the recovery effort. 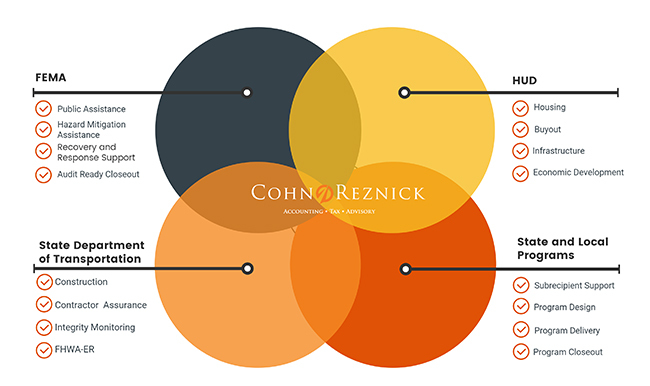 CohnReznick has managed the payment of billions of dollars in federal funds to intended recipients in the wake of numerous disasters, coordinating Gulf Coast disaster recovery programs in states such as Mississippi, Texas, and Louisiana. We have also administered and monitored Department of Housing and Urban Development (HUD) Community Development Block Grant (CDBG), Federal Emergency Management Agency (FEMA), and American Recovery and Reinvestment Act (ARRA) programs. Whether opening multiple application centers within 75 days, hiring hundreds of local employees to assist us along the Mississippi Gulf Coast, processing more than 50,000 applications for federal relief funds, or auditing more than 1,000 claims related to the largest case of financial fraud in U.S. history, CohnReznick has been central to the recovery efforts. With the public’s increased demand for transparency and efficiency in government spending, any mismanagement or waste of taxpayer funds cannot be tolerated. As part of our Disaster Response and Recovery services, we provide integrity monitoring to assist government organizations in safeguarding taxpayer dollars from being siphoned by unscrupulous acts of corruption, waste, and abuse – detecting and preventing fraud. We have significant experience establishing processes that avoid improper payments while delivering very low error rates. Most of this experience has been in some of the worst situations—federally declared disasters—where the balance between getting funds to those in need and implementing appropriate payment control procedures was time sensitive and closely scrutinized. Our team, which has more than 500 full-time staff members, includes consultants who have joined us from the highest ranks of government. This includes the former HUD Inspector General and a long-time member of the U.S. Navy Senior Executive Service. We complement their insights into governmental operations with a multidisciplinary team of professionals – certified fraud examiners, project management professionals, integrity monitoring advisors, safety and construction experts, engineering specialists, and many others – who seamlessly incorporate their areas of expertise into our disaster recovery engagements. 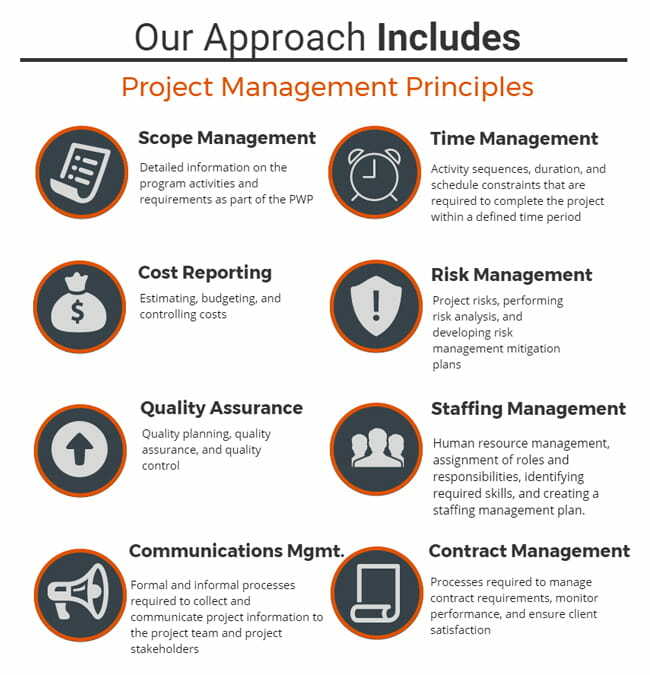 Providing a range of services that includes governance, compliance, transparency, and integrity monitoring services, we administer project design, management, and delivery through procurement and pricing, proper controls, and closeout. Our process is designed to offer lower risk by enacting policies and procedures that prevent fraud, waste, and abuse – right from the start. Balancing full service recovery efforts for long term results. To mitigate the impact of disasters before they strike, CohnReznick’s Government and Public Sector Advisory team has seasoned Emergency Managers that are highly qualified in building preparedness capabilities.